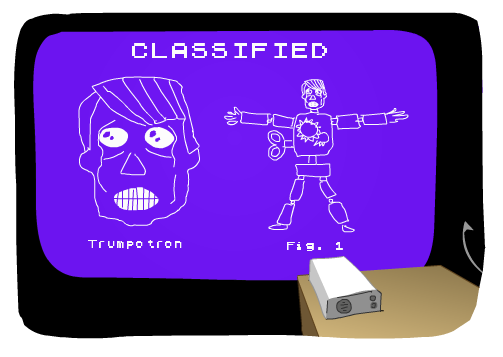 About Trump, it's a relief to learn that he is actually a robot! I was always wondering what's wrong with this guy, now I know. I'm not sure but I think Philip screamed because the microfiche contains informations about the Delavigne all staff's internet activity. Someone who has a guilty conscience have certainly hidden this microfiche in Marvin in order to accuse you. It could be anyone except Horatio who doesn't even know how to turn a computer on. Sacrifice a great guitar for this damn microfiche... Philip is such a dumb brute! Anyway, here in France, we all fell great great pain and suffered huge losses this month...but Edward, I know you'll agree with me: "The Show Must Go On"!